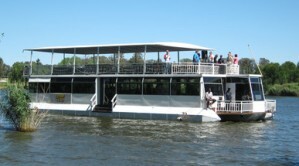 Vaal River Dinner Party Boat Cruises and Functions. is the largest tributary of the Orange River. The river has its source in the Drakensberg Mountains and it flows 1,120 kilometers westwards to where it joins up with the Orange River near Kimberley. operates in the Vaal Triangle region's 56 km navigable water section. The cruise starts from Vanderbijlpark, only an one hour's drive from Johannesburg. Staff Parties, Dinners, Funtions, Birthdays, Weddings and Product Launches. 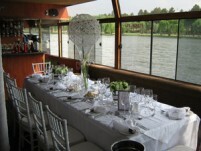 Vaal River Dinner Party Boat Cruises and Charters. 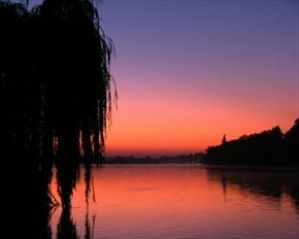 Private Charters on the Vaal River. 1 hour - R 8 600 for up to 40 passengers. R215 per pass. thereafter. Maximum number of seated places: 120 passengers. Rates valid until end August 2019. 1 hour - R12 000 for up to 50 passengers. R240 per pass. thereafter. 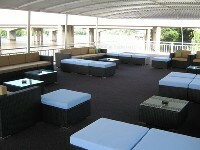 atmosphere, whether it be a black tie or a casual event. Breakfasts, Lunches, Dinners or just for sundowners. 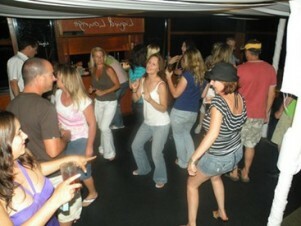 The boat leaves either from the Emerald Resort and Casino or from the Riverside Lifestyle Resort. Standard decor: Beige and white linen. Other decor available from R160 per person. 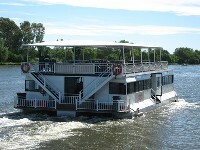 VAAL RIVER BOAT CHARTER ENQUIRY BOOKING FORM.